Totally upset and distraught after reading the latest statistics about the poaching rates. 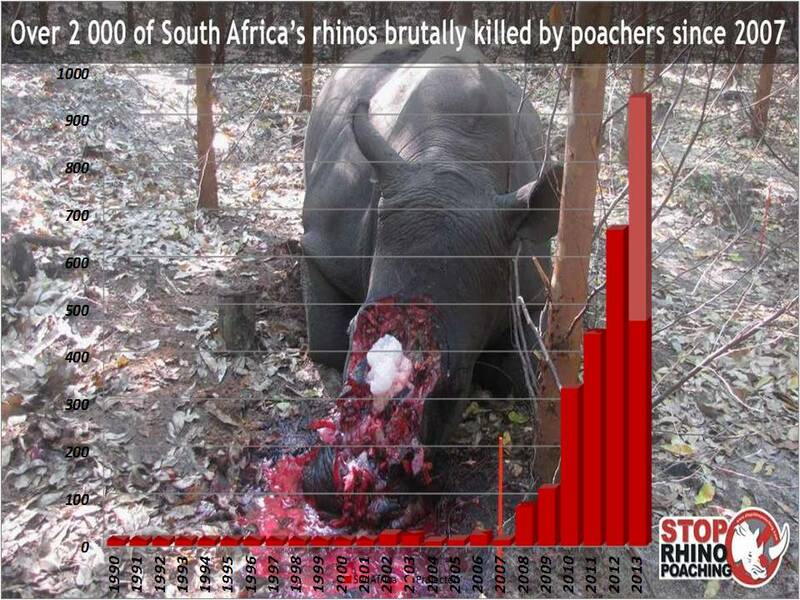 Three (3) Rhinos are killed every day in South Africa. I am getting a sense that even the organisations which are working so hard to change the tide are getting desperate in what to do. Obviously corruption, greed and overall apathy will see the end of this majestic animal if we do not find a way to curb this sad, sad process. My heart is heavy with pain and I feel helpless in the face of this killing machine. But, … nevertheless I will continue my walk, will continue to talk about it and pray for divine intervention, we will need a miracle. Axis of Good, unite please!!!! Please donate to help finding resources to at least put up a decent fight!! 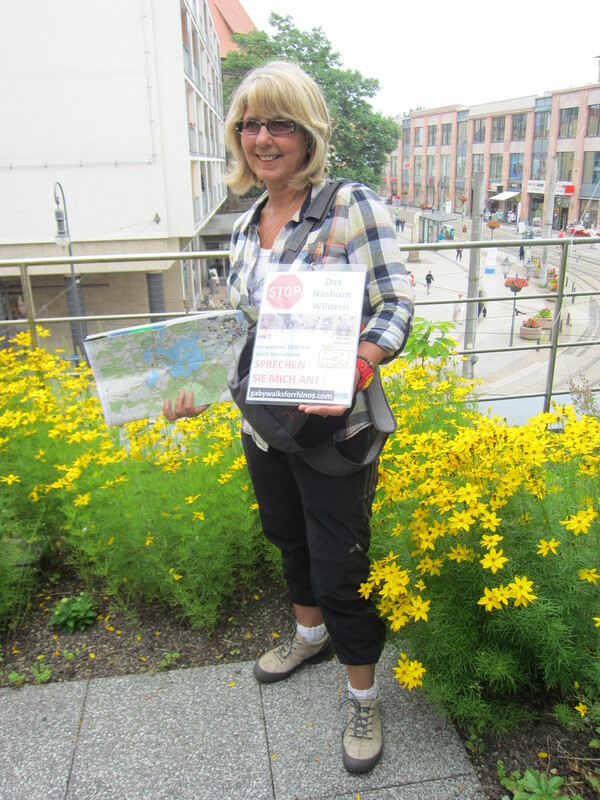 I have made it to Berlin after walking through the Harz into the former DDR, very interesting history for me obviously. The wall came down in 1989 and much has been done to reunite the country into one Germany. The forests are amazing, so much of it and very deep and untouched. There are many beautiful villages, lakes and little cities I passed though. Gaby, I am full of sadness too, hearing about the devastating toll on the rhinos. Is there any research on removing the horn by wild life staff too foil the poachers? This would seem the only way to circumvent the cruelty of their plight. But this is ever more a reason to keep fighting! Keep going, Gaby! Your way of doing things so far will certainly (hopefully) make a difference! You’re in Berlin already? That’s great news! Dear Gaby so sad to see this photo and read these statistics. All the more important for you to keep up the good work you are doing. Thank you Davlyn, good to hear from you and thanks for keeping up to date and sharing. Its sad to hear mum. I am so proud of what your doing . ,Stay strong, and hope this insanity comes to an end if enough awareness is raised and action taken….. Thank you Stefan. Miss you all so much and appreciate the support. We have to keep fighting anyway we can. Animal Planet just picked up the story, so awareness keeps being raised! !